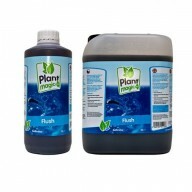 The act of flushing a plant is using plain water to actively remove any nutrients in the media. A large amount of water is passed through the media and drained away on a regular basis. Any minerals and nutrients present in the media are washed away over time by the water, leaving the media clean and given you end product better flavour and more intense taste. 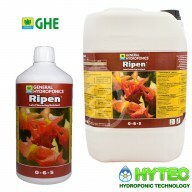 GHE Ripen 1ltr GHE Ripen is a comprehensive plant nutrient used during the late flowering stage of the plant. 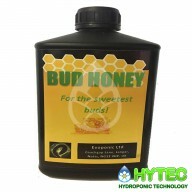 It is specifically designed to speed up and enhance the ripening process, while increasing the content in active principles of medicinal, aromatic and culinary plants. This type of.. 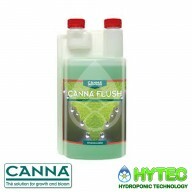 Flush This Flush has been designed specifically for the UK coco and hydro gardener to remove excess nutrients from the plant sap as well as removing metallic tastes to improve flavours and aromas from your fruiting crops. 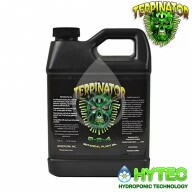 This product works in two ways:- Firstly a boost of hormones is given t..
TERPINATOR 1LTR A one-of-a-kind additive specifically formulated to boost the concentration of terpenoids - which are key compounds found to be largely responsible for the flavours associated with your crop. 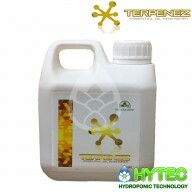 It increases the number and size of glands that produce terpenoids on the surface are..
TERPENEZ ESSENTIAL OIL INTENSIFIER Terpenez represents a new class of horticultural products aimed at enhancing the aromatic experience associated with gardening. Many of the plants chosen for cultivation are selected based upon the value of their essential oils. With that knowledge, Terpenez has.. 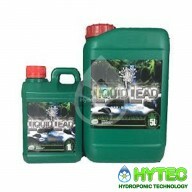 LIQUID LEAD A unique blend of organic enzyme activators, vitamins, essential amino acids and carbohydrates work in combination to unleash the full flowering potential of your plants. Add to your current schedule during the last week of flower and continue to use throughout flush. 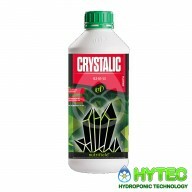 Fruit will ..
CRYSTALIC Simply put Crystalic™ by the guys @ Nutrifield `does what it says on the tin' , Nutrifield Crystalic™ is a combination of rare earth minerals mixed in with essential amino acids, and fulvic acid that induces exceptional secondary metabolite production in plants. It is ide..
Advanced Nutrients. 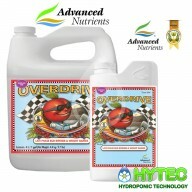 Overdrive 1ltr It’s Never Too Late To Get Bigger Harvests Let’s face it – general hydroponics gardening can cost you a lot of money, time and effort. 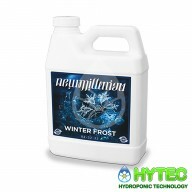 You spend weeks taking care of your garden, you spend lots of dollars on it, all the while hoping for the big harvest you dr..
WINTER FROST – NEW MILLENNIUM UNLOCK TRUE GENETIC POTENTIAL WITH THIS IDEAL RIPENING SOLUTION An ideal ripening solution made to accentuate terpene production and recycle the last remaining energy left in the plant toward bulking fruit development. The winter like effects can be seen through e..